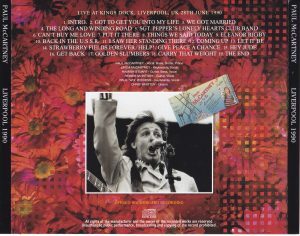 The world tour that Paul took after releasing the album “FLOWERS IN THE DIRT” first traveled to Europe and the United States, and the tour in his native England came to life in 1990. 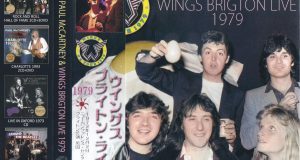 The same year I traveled to London and Birmingham from January, and for the fans of my home country, a long-awaited tour that has been realized since Wings of 1979 was realized. However, it is not going to Paul’s hometown Liverpool in the date of January, and fans and Paul will have been thirsty, and it will be June when a triumphal performance in Liverpool will be realized. This June tour is a very unique time in the course of 1989-90, and is to perform only three times in England. One of them was Nebworth on the 30th, which consisted of a short set of event specifications, high-quality radio broadcasts, and items containing it made it a best seller in the blink of an eye. This short-term British tour is characterized by each performance, and among the mania it is regarded as a special time also in the stage of 1990 where the level of performance is always high. However, Paul can not easily carry out the 28th day when it has been a long time Liverpool show. This was also broadcast on the radio, but unfortunately only half or less of the actual live will be broadcast, and the miso will come first here. However, due to the nature of the broadcast source, items also appear to follow after Nebworth. However, they had the big problem that the pitch was uniformly slow. Similarly, the item recorded live broadcast in London in 1990 by Billy Joel is also low in pitch, and it is presumed that the taper recorded in such a form might have spread the sound source in the same year. 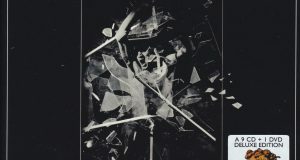 In addition to the crazy pitches, the phrase “fade out” just before the end of “Back In The USSR” finished, items such as “IMAGINE IN LIVERPOOL” full of defects that the medley starting from “Golden Slumbers” of the last has not been recorded As a result, despite the recent stereo sound board recording, it should not seem as if it has turned into a sound source of sadness that is not recognized by the fans. The item that has been released until now has a bad impression that the poor condition of the sound quality can not be concealed before the pitch goes wrong, and because the Nebworth was perfect sound quality, it is even more different I just do it. Under such circumstances, only the performance of the Liverpool show, John Renon Medley, which is the highlight of this period, is released with the coupling of the single “All My Trials” from the live album “TRIPPING THE LIVE FANTASTIC” If you could hear in the sound quality of … Though the mania’s thoughts were being raised, the situation where you could not even feel the signs of the appearance of the upper version continued for more than 20 years from the show. There is no such thing as existence that has been awkward to here with radio sound source. 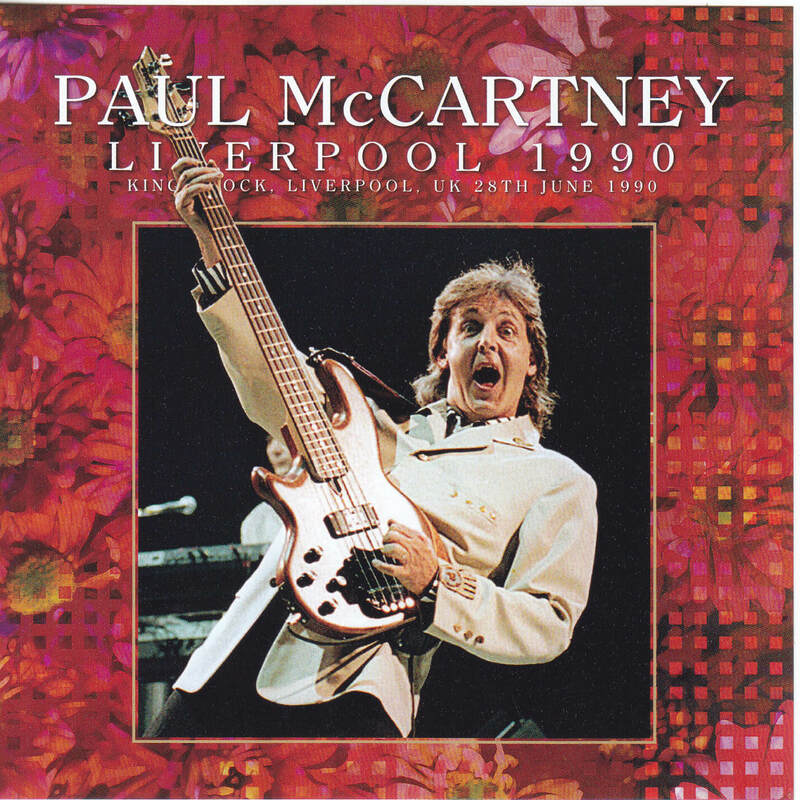 It was the limited press CD “LIVERPOOL 1990” released in 2013 that finally put an end to this situation. Of course, although it was recorded at the correct pitch, it appeared as a Sold Out as a result of appearing as an upper version without the complaint that the sound quality was clearly improved than the past item. The wonderful sound quality that the item of the past is a lie is the area that approaches the official “TRIPPING THE LIVE FANTASTIC”, but it is attractive that it is not as well-mixed as the same album. 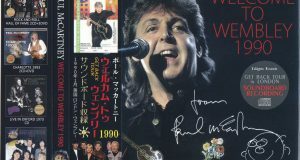 After all, it is a stage where Paul has a long time in a long-running triumphal performance, so the stereo sound board recording that has been put together in such a balance can feel the momentum of performance more realistically. Of course there is no omission such as meaningless cuts and unrecorded. That is why re-release requests have been received before, and this release will be realized this week. A mere relapse was possible because it was already a sound source with sufficiently high sound quality, but when the sound source was reviewed, the separation of the bass region was poor, and equalization was applied to improve it. For example, the tempo is fast like “I Saw Her Standing There”, and I think that it will be easier to understand the difference if you compare it by listening intensely. The low range was tightened cleanly by this equalization. This makes it easier to hear the sound originally at the official level, and it is also a big point that the ease of listening to the content that fits on a single CD is also great. Following the popular “GET BACK: SPEED CORRECTED EDITION” DVD, which has become much easier to read, this time a new CD will be released that will be enjoyed by everyone from the 1990 tour by the sound source! ★ The original sound quality is high, but the separation of the bass is bad, and it is the impression that the bass drum and the bass sync sound are particularly cloudy, so it was the best point that I resolved that part. In the middle and high range, the snare and hi-hat become clear by fine adjustment, and the synergy effect with the bass drum by the bass adjustment makes the whole performance clear.